Take it outside in these Wrangler Rugged Wear Jeans. Made with 80/20 polyester cotton with a hint of stretch. Plus, a gusseted crotch for a comfortable, unrestricted fit. Perfect for outdoor exploration, work and every day. 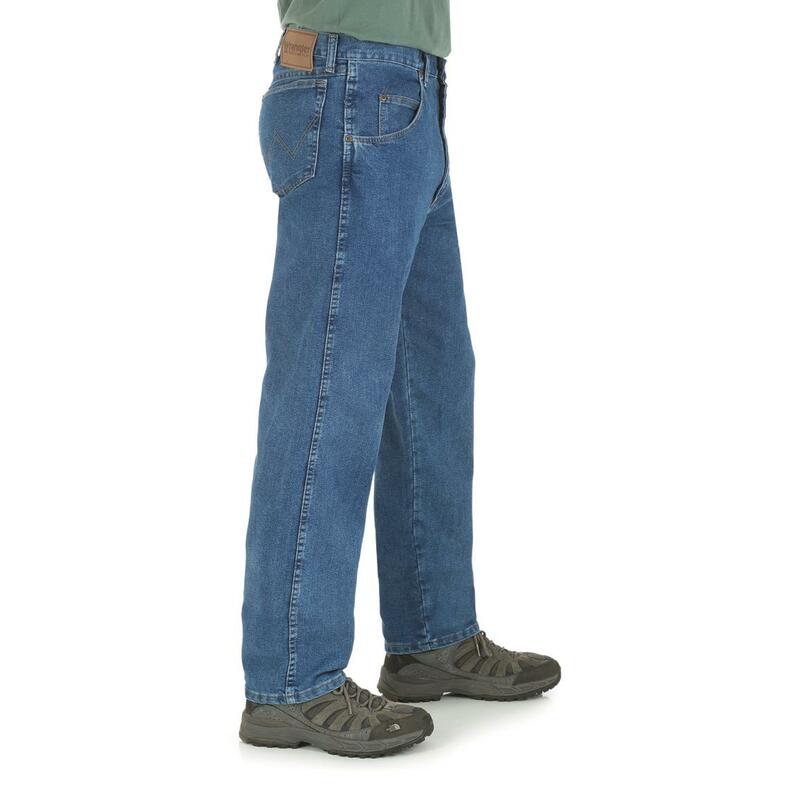 Wrangler quality with added comfort…get your Jeans today! 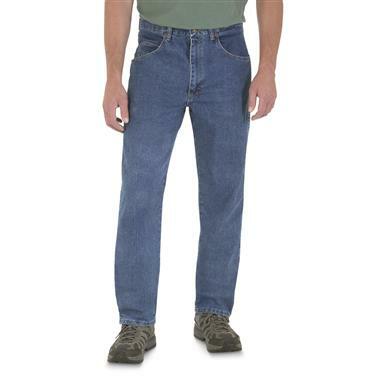 Wrangler Rugged Wear Relaxed Stretch Flex Denim Jeans is rated 4.4 out of 5 by 121. 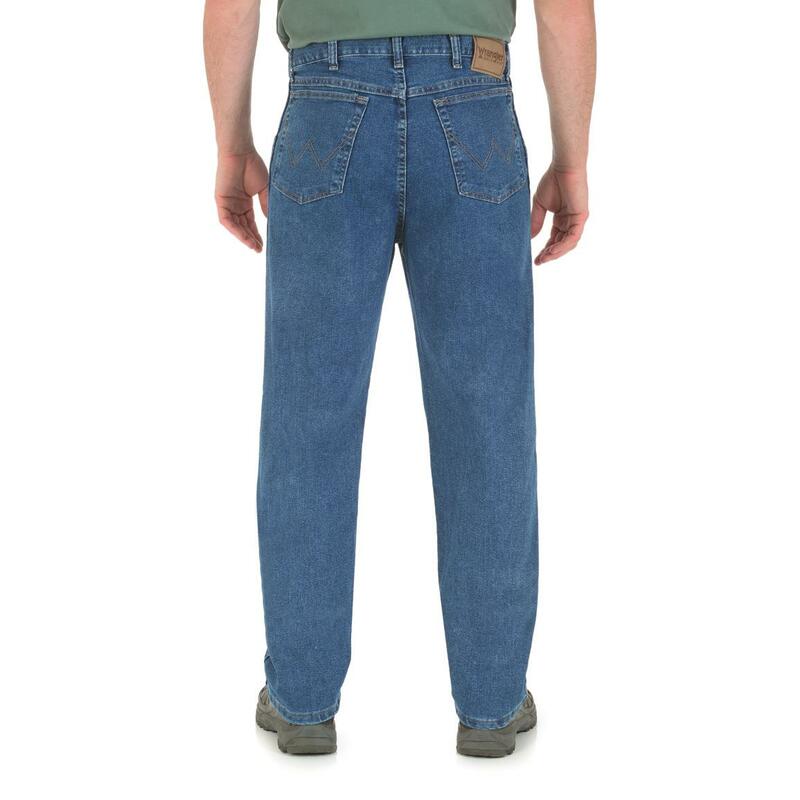 Rated 5 out of 5 by Chevy from Jeans for Hot Weather States These Jeans are lightweight and very comfortable. We live in south Ga almost in Fla for work my husband wears jeans to work this is what he loves. Rated 5 out of 5 by The Wolfman from I have bought these several times in the past. Great Jeans. My Favorite jeans! Perfect fit! Rated 5 out of 5 by Raymo from Best Ever I have worn these jeans for years. In my opinion they are the most comfortable most durable jeans that I have ever worn. Rated 5 out of 5 by Finishing Crew from Nice Light Weight, Flexible Work Jean I work in construction (generally outdoors). These jeans are very good in the summer when it is very hot. They are light weight and flexible. Rated 5 out of 5 by krb24 from I would buy this product again. My wife doesn't like me in overalls all the time, so I switch up by putting on a pair of jeans once in awhile, so i need something I can wear that is comfortable and I don't mind getting dirty if I need to. Rated 5 out of 5 by None from Repeat purchase of this item. I have always liked the 35005SW, Stonewashed, relaxed denim. The Big & Tall sizes are appreciated. They look good and are very comfortable. I expect I will purchase several additional pairs in the near future.